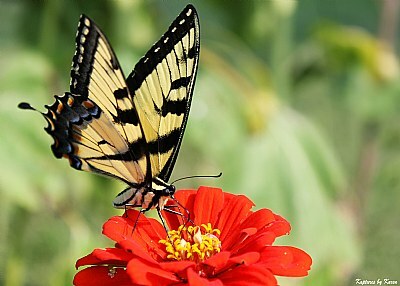 About Caught this Eastern Tiger Swallowtail sampling this Zinnia for a mid-afternoon snack! Excellent nature macro Karen. Doesn't get much better than this. Well done!